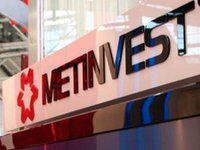 Fitch Ratings has upgraded Ukrainian integrated steel company Metinvest B.V.'s (Metinvest) Long-Term Local- and Foreign-Currency Issuer Default Ratings (IDRs) to 'B+' from 'B' and senior unsecured bonds to 'B+' from 'B' with an unchanged Recovery Rating of 'RR4', the outlook is stable, according to a report on the rating agency's website. "The upgrade reflects Metinvest's improved capital structure with a smoother maturity profile and its commitment to prioritize capital expenditure, debt repayment and working capital funding over dividends. We expect capital spending to remain at elevated levels in 2019 and 2020, but the group will fund this from internal cash flow generation. The upgrade also factors in some flexibility for the business to reduce capital expenditure under less supportive market conditions. Fitch forecasts funds from operations (FFO) adjusted gross leverage to remain below 2.0x over the rating horizon," it reads. "Fitch assesses Metinvest's business and financial profile in the 'BB' category. However, the company's credit quality is constrained by the operating environment in Ukraine," it says. "Metinvest's 'B+' Long-Term IDR is now two notches above Ukraine's 'B-' Country Ceiling due to a sustainable improvement in the company's hard currency (HC) external debt service cover ratio. The top line of the ratio is supported by higher forecast mid-cycle EBITDA, linked to the improving product mix as well as higher earnings over the short to medium term from tighter iron ore and pellet markets. The bottom line takes into account the smoother maturity profile after the refinancing completed in 2018," Fitch said. "We expect the HC external debt service cover ratio to remain above 1.5x on an 18-month rolling basis. Around 65% of Metinvest's earnings come from exports and 10% from assets located in Europe and the US, with most of its cash held offshore/outside Ukraine, enabling the company to service its HC debt with recurring HC cash flows and cash balances," Fitch experts said.